Let’s welcome back to the blog my friend Siobhan Johnson author of Dear New Witches and owner of www.siobhanjohnson.com. She has a really special announcement about her new course Modern Magick Mastery. I went to an open circle at the age of sixteen. An open circle is a Spiritualist thing, where you all sit round and wait for Spirits to show up. Like a seance, but without all the holding hands and spooky knocking, it also feels like group therapy, with a motley crew of randoms sat on fold up chairs trying not to look each other in the eye. I have no special supernatural powers as far as I’m aware. I just started practising EARLIER than most people, so that’s how I know more and can do more. Nothing I do, know or have right now is unattainable! So, let me show you how I did it. #1: I started following religious rituals straight out of a book. I copied them in their entirety at first, then started changing things because I read online that you can change your witchcraft practice to suit you. I did not know what to change, what to change it to, or what difference changing things was supposed to make. There was no explanation on why we were supposed to do these rituals or what each step was for. I didn’t understand what results I was even supposed to be getting out of these rituals. What were they for? What was the point? What did I get out of doing them? #2 I laser focused down onto practical spellwork. I got many results - some good, some bad, some horrific. Magick was definitely real - but it became clear very quickly that I had little control over it. I carried on in that way for a while, and I completely overdid it. I also had no idea of strategy, or how to get the most out of my magick, so I did more and more, hoping eventually something would change. What changed was my health - for the worse. I became very burnt out. During the two years that I suffered from burnout, I did loads of magickal research instead of practical magick. I experimented with ancient techniques, trying to find out why they just didn’t work in the modern world. I also experimented with the findings of new scientific research, blending them with said ancient techniques until something finally came alive in my hands. #3 I understood that truly powerful magick is a blend of four principles: ritual, psychology, regular training, and effective planning and strategy. There’s no point throwing all that you have into a spell if you don’t know what you want, if you won’t recognise it when you get it, or if it’s a bad idea in the first place. Using these four principles, I turned my life around over the last two years. My health returned even better than before. I lost weight. I triumphed over phobias. I got a job. I wrote a book. I increased my cashflow. I ticked off things that had been on my bucket-list for years. I kicked bad habits. I became emotionally stronger. And now, I’ve compiled all of my years of research and experimentation into a course, called Modern Magick Mastery. I am so excited to share it with you all! I can’t wait to put together a group of dedicated individuals who are ready to change their life with magick! Here is the link to find out more about Modern Magick Mastery, a 60 day course with exclusive bonus content. Need more convincing? Well, let’s be real and brutal for a second. It ain’t a lack of time that holds you back from being good at witchcraft. Every important and influential person on the Earth, from Gandhi to Beyonce has the exact same amount of hours in their day that you and I do. 24 short hours. How do you choose to spend yours? It’s easy to say that your busy with work and family and housework, but is that true? How much time do we waste on facebook or instagram, sat on the couch trying to sum up the energy to sweep the yard, or rushing about from task to task never getting anything actually done? I bet that you can find an extra two to three hours back out of your week, without sacrificing even a minute of time that you actually spend on anything you need to do, or enjoy. But if that’s not the case, are you willing to sacrifice two episodes of your favourite TV show a week for the next eight weeks? Are you willing to put just two hours of work in when the results can change your life? It isn't a lack if money that holds you back from being good at witchcraft. Nope. You don’t need fancy equipment. I make powerful magic with a pen, paper, and the contents of my kitchen cupboard. You will too. A good 80% of the techniques taught in Modern Magick Mastery require just the pen and paper. I even added a payment plan to help you out. I’ve said this a lot recently - that witchcraft is not a hobby. It’s not a timesink. In fact, it can give you your time and your money back multiplied. What you put in you get out. So, if it’s not lack of time and lack of money, why aren’t you good at witchcraft? It’s the fact that habits are hard to change. That realizing you aren’t where you wanted to be is difficult and painful to acknowledge. So you look around for something easier to deal with, and tell yourself you don’t have the time. Put simply: you’re not doing the work, or you’re not doing the right work. Learning to balance the four principles to magick (training, ritual, psychology and strategy) is all you need. Maybe you’re getting caught up in all of the psychology, but you’re not doing the rituals. Maybe you’re doing all the rituals, but you don’t have the practise and training to actually power them. Or maybe you’re doing everything right, but you’ve got no idea what you want and no plan or strategy for how do get there. I’d like to personally invite you to join me in ‘Modern Magick Mastery’, my signature course all about how to maximise your potential with magick. 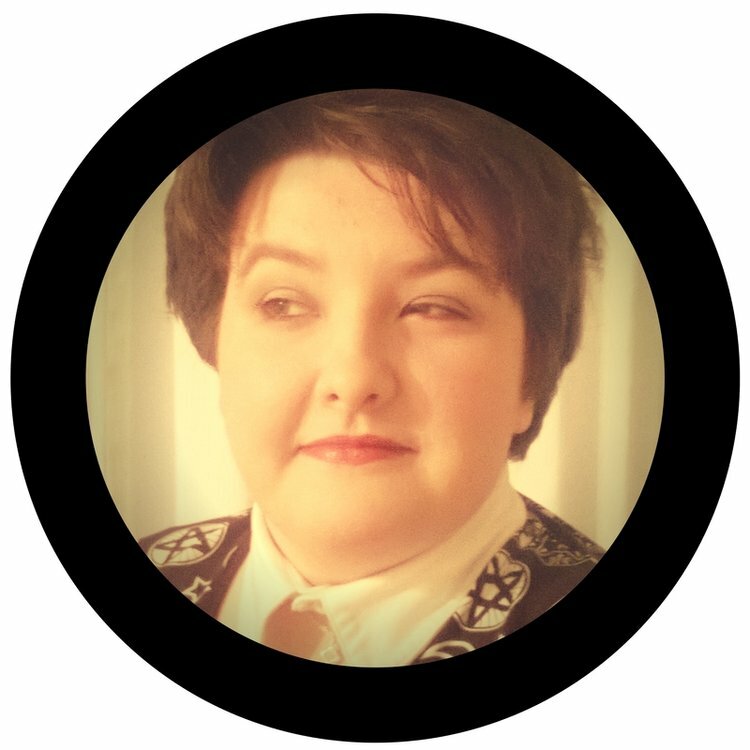 Siobhan Johnson is a traditional witch, from Greater Manchester, UK. She's all about taking traditional methods and modernising them, without losing what made them special in the first place. Her witchcraft is all about getting physical, practical results to build the life that you want. 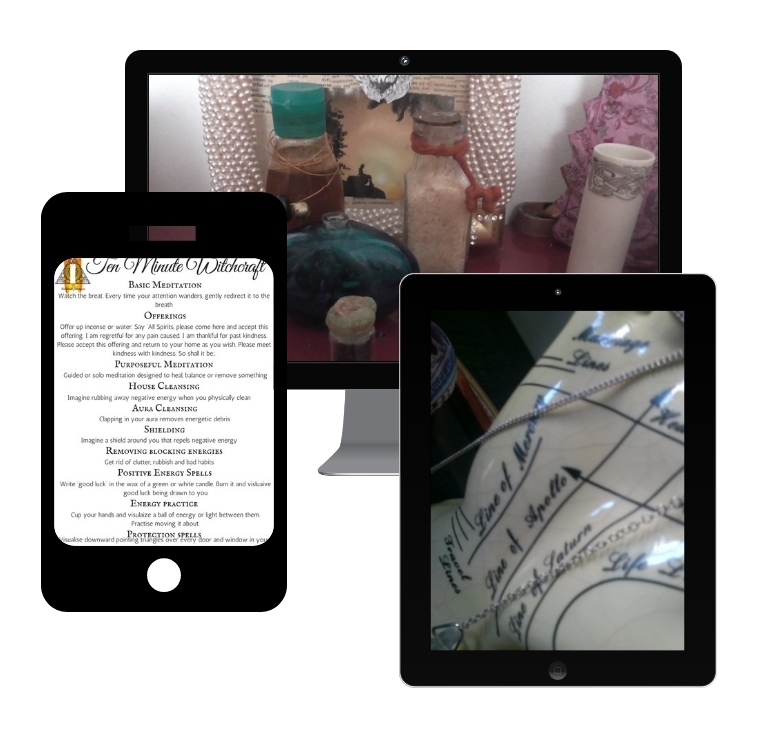 If you like what you see here and want to stay in touch with Siobhan make sure you head over to her website and sign up to receive five free spells, sent daily straight to your inbox. Want to write for Mumbles & Things? I'm always interested in hosting other bloggers and writers or doing a blog swap. Read the guidelines and submit your proposal on the guest post submission page.